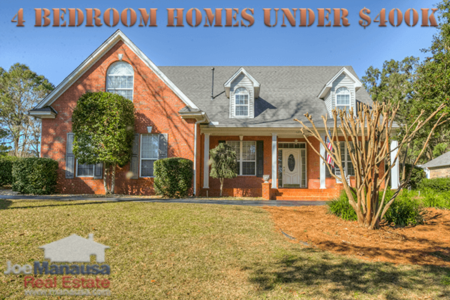 If you are looking for a big house with a budget among the top 10% of all Tallahassee homebuyers, then today's report might give you a glimpse of the perfect home. 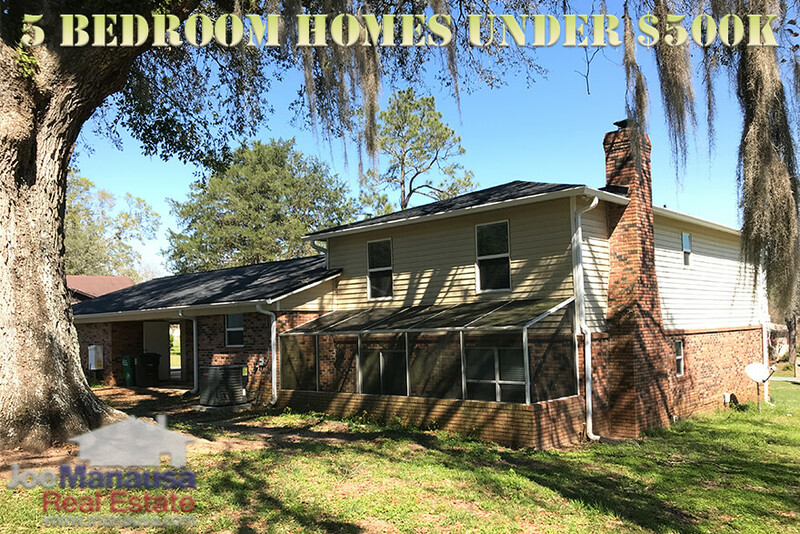 Today we feature all homes with 5 or more bedrooms that are for sale in Tallahassee for under $500K (including this 5 bedroom home with a pool for $350K), and there are not so many to choose from. Why Are Five Bedroom Homes Going Like Crazy? Five bedroom homes offer the type of space required for large families or families that have older children living at home. Once kids hit a certain age, they love to have their own rooms that aren't shared with their siblings. Homes with 5 bedrooms also a great if you entertain house guests on a regular basis. It's nice when family visits, a 5 BR home often times means they can stay with you in your home rather than having to book expensive rooms at nearby hotels. A five bedroom home can facilitate more visits from out of town guests if that is what you desire. As I write this report on 5 BR homes for sale in Tallahassee, one-fifth of the 44 homes for sale are already under contract with buyers (including this one we just were hired to sell). The reason they seem to "go like crazy" is that there are so few 5 bedroom homes that hit the market, so you have to be quick when you see one that you like. When I look at the 5 bedroom homes for sale listed in the Tallahassee MLS, I see that that the average price is $342K and the median price is $363K, meaning buyers should have no problem finding a good buy on a 5 bedroom home, well under $500K. 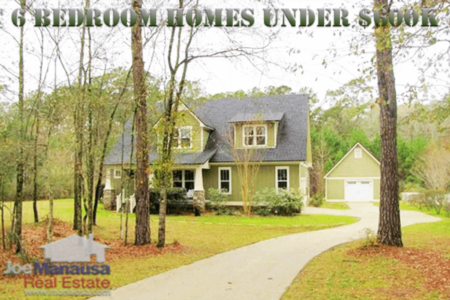 If you want more information on 5 bedroom homes in Tallahassee, whether selling, buying, or both, simply give us a call at (850) 366-8917 or drop us a note and we will be in touch right away. If you wonder what it's like to have the hard-working employees and agents at Joe Manausa Real Estate help you sell or buy a home, here's what thousands of people are saying about our services, you can see their reviews reported on Google, Facebook and Zillow right here: http://www.manausa.com/testimonials.